Women 2.0 syndicated a recent article about Managing The Product Development Lifecycle, as well as my post about Holding Your Position In Your Startup From Startup To Outcome this past month. Thank you to Women 2.0 for including me! This entry was posted in Blogging on July 25, 2014 by admin2. What Makes A Good Startup Community? Silicon Valley, Alley, Flatirons, Prairie, Beach — the startup tech community and business has leaped from its legacy home of Northern California to nearly every major city in the U.S. As each area of the country sets a stake in creating a place that fosters and helps grow startup business, there is increasing talk of these new, great hubs for the industry. It also brings up an interesting discussion point about what makes a good startup community. The answer ranges — what entrepreneurs and founders might need at an early stage of the company can often be different from the desires and needs of executives and employees working in the business at later stages. While some believe it’s networking events and media attention, others look to deal flow and access to capital within their city. Some may benchmark it by a robust community of resources, like engineers and other talent. Everyone, of course, looks to jobs and job creation as an integral element. For entrepreneurs and founders, needs are often centered around an environment where they can focus and leverage the ecosystem. This group in the ecosystem often benefits from access to capital, networking and/or educational events, but the type of curriculum for conferences, attendees, and other elements can be different from what executives and employees working with a tech hub might seek or benefit from. In terms of resources, it can range from affordable office space, to good talent pool, and of course, investors. Though because we are in a truly global (and often virtual) world, these elements can be surprisingly less important or necessary — good companies and ideas can find and work with remote resources and often do successfully. In terms of learning and access to resources, many startup entrepreneurs and founders need or want to learn as much about corporate structure, equity allocation and other business elements of owning a company as they do strategies and other means to grow or market their business. With email and the internet, networking to find potential partners or customers can often be done without attending events. Therefore, moving the founder or entrepreneur to attend such gatherings has to be focused on the potential of a return on their time investment as many are juggling busy schedules as is. Legalities such as tax breaks, regulations, and other elements can also be important for entrepreneurs and many cities have worked to create this to attract startup business. For executives and employees, what constitutes an ideal startup tech community depends on the stage of the company . Events where business development and marketing executives can evangelize the company, meet and network with peers or potential customers, can be key. Connecting with the tech community outside of the company takes a different value proposition and need. Access to resources shifts a bit — talent to support the company efforts such as engineers, marketing, graphic designers, and sales or business development executives may replace the desire or benefit of meeting potential investors and other founders. Just the same, availability of top talent is as critical to this group within a startup tech environment. Talent is attracted to where it can earn income or revenue, and markets that are not demonstrating job opportunities and growth are often passed on. Regulatory and compliance issues tend to be less or not relevant as employees are often removed from this burden within a business. But as there are some differences among the needs of everyone within a technology and business market, many things that are the same. Location and/or ease of getting around the community can be critical to all regardless of what position they hold in the company. Affordable housing and other personal services such good medical practitioners and schools can be an attractive benefit. Good restaurants, grocery stores, and even eco-friendly living may be top of mind for many in the industry. It takes decades to build a flourishing community of startups and entrepreneurs, it cannot be willed, and many factors play a vital role. When such a community reaches a critical mass it becomes uniquely nurturing and self-perpetuating. While media coverage and attention is often assumed to be a value, it’s important to understand that a technology community best benefits from the right kind of attention. Inflated expectations or ‘hype’ within a market can actually hurt its growth, both long and short-range. Creating the impression or illusion that a market or the companies within it are ‘hot’ is not always for the good — in some instances, it can set companies up for the impression of failure when the natural, often unavoidable challenges or pitfalls of any startup company come into the picture. What’s more beneficial from a media and attention standpoint isn’t the ‘deals and exits,’ or the ‘buzz’ alone, but important fundamentals such as real market traction, authentic, steady growth, market maturity, solid leadership and management, and many of the components that helped put the original ‘Silicon’ (the Silicon Valley) startup market on the map. This entry was posted in Blogging and tagged business, leadership, management, startups, tech on July 22, 2014 by admin2. 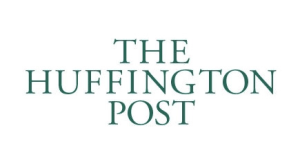 You can view my latest article on The Huffington Post business here. This entry was posted in Blogging and tagged business, innovation, technology on July 18, 2014 by admin2. I shared insight on Forbes.com this past week. You can read the article here. This entry was posted in Blogging and tagged career, innovation, leadership, management, work on July 10, 2014 by admin2. I had the opportunity to meet Lady Gaga this past month after her concert in the Bay Area. I was not only inspired by her musical talent but her immense business acumen as well. She truly is a force to be reckoned with and a great success story. This entry was posted in Blogging and tagged business, lady gaga on July 8, 2014 by admin2. It is an exciting time in innovation. Technology has helped redefine, reinvent and even create new categories, products and markets. Companies like Amazon, which traditionally sold books online, now have retail products, media and content as well as their own hardware devices such as Kindle and the Fire smartphone,. It’s not just limited to the technology industry, but dozens of others. Medicine, research, investing, transportation, design, the home, you name it. We are truly in a new and impelling world. It brings up an interesting element for companies in the web business. It goes beyond the traditional players like Google and Facebook, to the startup you may own or work at as well as in some cases, major legacy companies and corporations. Innovation, in itself can be rather disruptive within these environments themselves, and charting where and what innovation needs to look like to your company regardless of size is a critical (and often overlooked) first step. While the internet enables every company regardless of legacy market to expand into new frontiers, where and how to innovate can be nearly as important to the picture as the innovation and effort itself. Many companies (including major, successful players) make these mistakes. For web companies, avoiding missteps in innovation within your organization begins with a solid sense of what you do. This sounds simple enough, but many often misunderstand this element in the business online. In consumer space and for that matter in business-to-business , it can be broken down to two areas: products or service/utility — or in some instances (as with Google or Amazon), it can be both. How this can best be identified or defined is by asking yourself what exactly do you provide to the market? Is it a product that consumers can purchase? Or a service/utility they use? In the example of Google, it has a consumer product (Android smartphone) and it has a service/utility (Google Search). Determining if your company falls into the consumer product or service/utility category doesn’t just help identify where and how to innovate. It can also enable a sense of the best route to take. For example, Amazon enables people to purchase books (service). A device for reading digital books was an obvious, potentially viable path (product). Then, Amazon recognized that it could go beyond books to sell content of all kinds, including music and television shows (service). It realized it could offer more than just one device as well — the Fire smartphone introduced this year (product). By understanding where its core/legacy position resided, Amazon was able to identify multiple, organic routes to expand its business. The company then equally went beyond the consumer category to understanding where it might fit into the business-to-business (B-to-B) market — tools for authors to create and publish digital books, and ultimately pioneered a business utility in the form of cloud storage and computing. It’s a great example of how knowing your inherent, core position within a market can be expanded. While it can be possible to expand into something with less of a natural, organic path with your company, taking this type of leap doesn’t just present challenges for an organization but moving a customer base to that offering will likely be the same. For example, Facebook provides a means for people to communicate with family and friends. But Facebook enabling retailers to set up stores on its platform has been widely reported to be unsuccessful. That’s because though Facebook has millions of users on its site daily, most would not easily make the correlation to also do their shopping there. Having to put in the work to marry Facebook users to also use Facebook in this way turned out to be a larger job for most retailers, and many shuttered their Facebook storefronts in the end to focus attention on other, more fundamental ways of using Facebook to drive sales. When it comes to where and how your company can innovate, there truly is no ‘wrong’ answer, just the one that best fits. It all begins with identifying what side of the market you fit into (consumer product or service/utility). Your course for innovation, including whether or not you can expand beyond the consumer market, should unfold much more easily from there. This entry was posted in Blogging and tagged business, future tech, innovation, startups, tech, technology on July 8, 2014 by admin2.